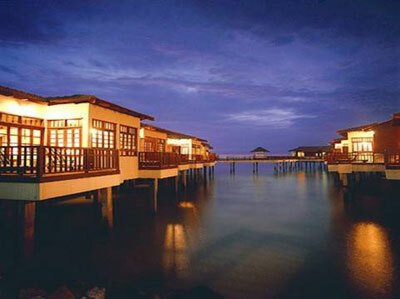 There are quite a number of inexpensive and affordable places to stay can be found in Negeri Sembilan. Staying here is a good choice as you get the chance to unwind in the middle of some truly tremendous panoramas. In the capital of Negeri Sembilan, there are spectacular hotels and spa resort in the heart of city center with affordable rate. You can find home stay in the Seremban town and some secluded areas which are perfect places to stay for a night or two, if you prefer to stay away from the more crowded area in Negeri Sembilan. In Port Dickson, you can easily get a good view of some of the magnificent beaches. Nearby you will also find a lot of bistros, bars, seafood restaurants and sightseeing places. If you had ever get tired of sightseeing, you can always find a golf resort and golf club in Port Dickson area to enjoy a great game of golf. Located in the middle of some of the most scenic surroundings and gorgeous beaches, golfing in Port Dickson is something extraordinary. Just a short drive from Port Dickson and very close to the Kuala Lumpur International Airport, there are also resort offers golfing facilities. Although there are not many luxurious resorts in the Seremban area, but there are several resorts located in Port Dickson that are truly breathtaking hideaways where you can relax in the beautiful white sandy beaches. Most of these resorts are located at the beach side of Port Dickson that are designed to blend in with their beautiful beach setting ensuring that you can experience the very best Malaysia has to offer. By taking care of every need of the visitors, these resorts in Port Dickson are well worth as they are truly committed to offer you a hassle free vacation in Malaysia. To experience the local cultures more in depth and to enjoy a relaxing getaway, most of the home stays in Negeri Sembilan are located at the more secluded and countryside area of Kuala Pilah and Bahau. The best part about staying in these places is that you are never distant away from the crowded Port Dickson and bustling Seremban town, yet home stays in these countryside areas offer you with a peaceful refuge in some of the most tremendous surroundings. In Seremban, you will mostly finds 2 stars and 3 stars hotels within the town. These hotels are suitable for backpackers and families having vacation in Negeri Sembilan as the hotels are offering affordable room rates and yet does not compromise on service quality. As Seremban and Port Dickson are both the main tourist destinations in Negeri Sembilan, getting a room here can be difficult especially during the peak season. Visitors are recommended to pre book the room in advanced to avoid any inconveniences and be able to enjoy a hassle free vacation.